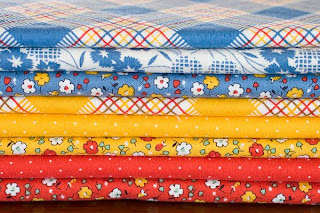 I magically changed my Arcadia Honey Bun for these gorgeous fabrics. I can't wipe the silly grin off my face. Thank you so much!! : ) That was so much fun visiting all those blogs from all over. I can't wait for the next Sew Mama Sew Giveaway Day. I traded my husband a guys night out tonight, for an all day sew fest for me tomorrow. That's fair right?? 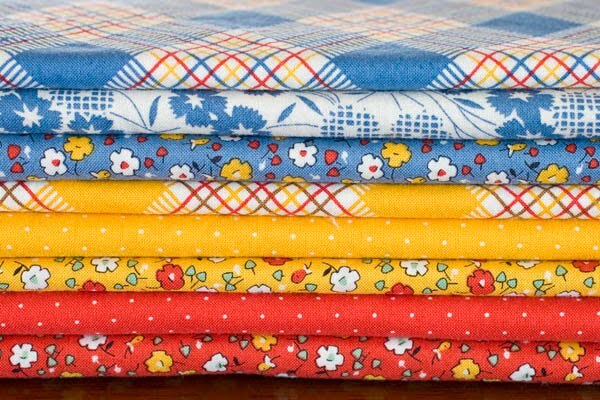 I'm plan on working on the Brick House quilt, and hopefully starting a Kaleidoscope quilt too. I'm using Happy Campers for that one. Enjoy your sew fest tomorrow! 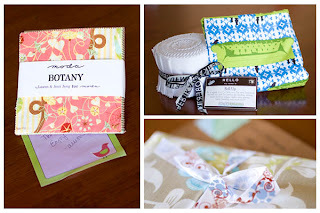 Love all your new fabrics! Your plans for your sewing marathon sound fabulous. I need a day like that, devoted to sewing only. Enjoy! What a delight, bright colors and inspiration. Enjoy your creative day!